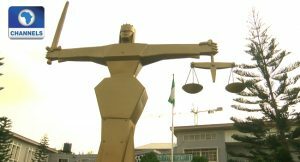 The court vacated the ord er following the inability of the Independent National Electoral Commission (INEC) to conduct the poll in 44 polling units in the state. Meanwhile, the ruling of the Adamawa State High Court came two weeks after INEC declared the governorship election in the state as inconclusive. The Returning Officer for the election, Professor Andrew Haruna, had made the declaration while announcing the results on March 11 at the collation centre in the state capital. He explained that the margin of the lead of 32,476 between the candidates of the Peoples Democratic Party (PDP) and the All Progressives Congress (APC) was less than the 40,988 votes that were cancelled. INEC had, thereafter, announced that it would conduct supplementary elections in 17 states and the Federal Capital Territory (FCT) on March 23. Although that of the state constituency held in Mayo Belwa and Hong Local Government Areas of Adamawa, that of the governorship failed to hold in 44 polling units as a result of the previous court order.